Some logos are recognizable even without the brand’s name attached. Everyone knows the Nike swoosh, the Apple logo, and that little mermaid who’s probably on your coffee cup right now. One image that’s easily recognizable is The New Yorker magazine’s iconic illustration. Even if you don’t know the history behind the image or the artist who created it, you probably have some semblance of recognition when it comes to this illustration. He’s a well-dressed man looking down through his monocle, and a butterfly is in his direct line of vision. 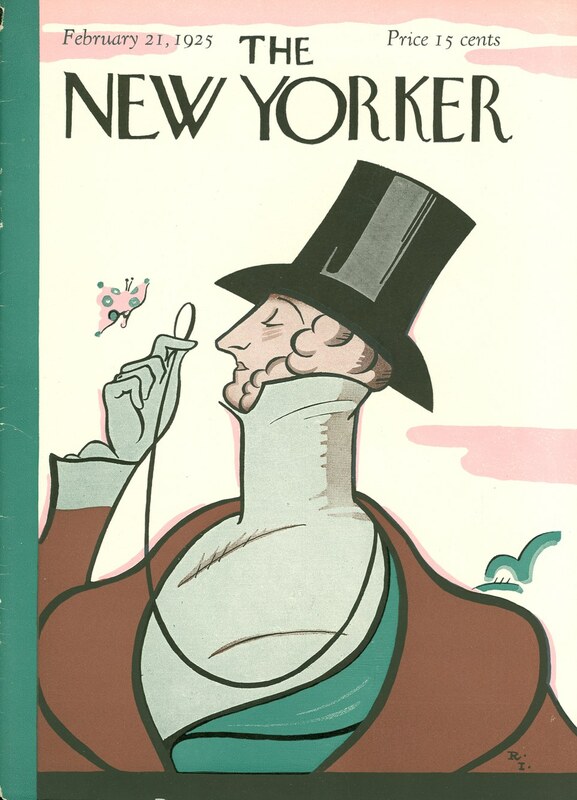 He’s know as Eustace Tilley and was originally drawn by Rea Irvin, the magazine’s first art director. The photo has become synonymous with The New Yorker. Over the years, other artists have created different variations of Tilley, usually making him reflect the times. More recent images replace the monocle with a hipster set of eyeglasses or he becomes a millennial who’s too busy looking down on his iPhone to notice the beautiful butterfly. The most recent rendition is by artist Malika Favre. She calls it “The Butterfly Effect” — and this time around the image features a black woman. "I wanted to capture the poise and the pose of the original Eustace Tilley dandy, but do it as something extremely simple and modern." The cover image is beautiful on its own and the gif is even more magical. Cheers to continuing a tradition of diverse Tilleys.